We are crowdfunding for the flooring and cupboards for our new Guide Centre. A total of £8000 is needed. Thank you so much for all of the donations. As you may know the Guide Centre is due to be finished very soon. At this stage we are choosing the fitting and fixtures including discussing the colours for the flooring. Wow, we've had a great start to our Crowdfunding Project but still have a long way to go to reach our target. 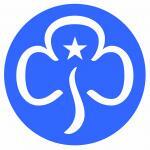 Please share our project far and wide and help Girlguiding Kidlington reach the target of £8000. Thank you every for you continued support.